Where do I even begin with this one? Throw back to the christmas 2 years ago when my mum brought me just clothes for Christmas, like I had asked, I wanted a whole new wardrobe. And the size 16 jeans didn’t fit.. well .. none of it did. I have never cried so much about my weight in my life. I had cried before but this was probably the worst. I hated all photos of me. On my 19th all of my photos are strategically cropped so you can only see half a chubby arm. The majority of my friends were size 10 and under. None of them every made a comment, they still encouraged me to get the clothes they’d buy but let’s be honest I was not happy nor did I feel good in them. You have to actually want it, because if you cheat you’re literally just cheating on yourself. If you read any o f this and think “Oh I can’t do that!” Then well you’ve come to the wrong place, I am not here to give sympathy, stay fat. It’s all on you. Pick a healthy goal weight! The detox is a detox. Not a diet. I repeat The Detox Is NOT a Healthy Diet. Like I said its impossible to live on for the rest of your life so this just won’t help. The detox can be repeated every 3 months or after heavy drinking. No excuses. “Being healthy is expensive” “Not everyone in my family will do it” Trust me, I didn’t have that much money. You can choose to spend a £1 on chocolate or a £1 on fruit. You don’t have to buy loads of extra food you can just let your family eat healthy or do it alone like I did. Just stop. If you slip up once doesn’t mean you stop and give up. 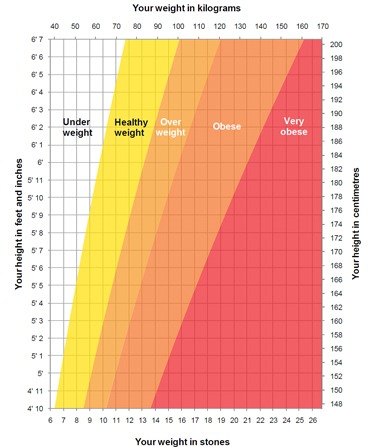 Everyone looses weight at different rates, the bigger you are the quicker it will be to lose weight.. You could not be seeing the weight loss but you could still be getting smaller which is why I measure as well as weigh myself. Diet doesn’t have to start Monday hence why it just says day 1. Again no excuses. Rules: Must be done in order. No beans, carrots or peas. You can use garlic, onions and seasoning. Must cook all food in small amounts of healthy oils (olive, coconut, no butter) or 1 cal spray. I use fry light. Day 1: Fruit only, no limit. Day 2: Vegetables only and 2 potatoes. Day 3: Fruit and Vegetables only (no potatoes). Day 4: As many apples and bananas as you like and up to 8 portions of low/no fat yoghurt. Day 5: Quorn fillets with 8 tomatoes. Day 6: Quorn fillets with Vegetables, no limit. Day 7: Miracle soup: 2-3 onions, 1 head of cabbage, 1 pepper, 5-6 celery stalks, 2 tins of tomatoes and 2 packets of dried vegetable soup. chop and sauté veg, blitz tomatoes and add to the veg, add 5-6 cups of water and after 10 minutes the packets of soup, cook for another 15 and stir continuously! You do not start recording your diet etc… until after the detox week as you will lose probably a lot of weight and may put a pound of two back on as you start to eat proper meals again. Literally eat healthy food! try new things, use healthy oils, portion control your plate and cut out carbs twice a week. 8 cups of water a day (start with 2 and work your way up if you have too). Actually plan your meals, 3 meals a day with the correct portions. That’s it. Allow for a treat a week! just don’t get extra.. Only the recommended portion! You want to be working out 3-4 times a week for at least an hour! Mix it up, cardio and weights. I love Charlotte Crosby’s work out DVD’s however I always find working out at home so hard because its easier to give up and procrastinate rather than be in an actual gym. I do an hour cardio in the gym and half hour toning on average. Set challenges with people! It’ll really help with motivation. This could be on your Fitbit (feel free to comment or message me your names), Bets – I have one going on at work with some of the girls. Again and challenges you want to do with someone I am your girl because I still have weight to drop! No judgement. You can keep a food diary. Your goals and when you achieve them (I had a cartoon picture of jeans and I tried on the Christmas jeans on every day and coloured how far I could get them onto until they fit). A progress tracker. I have a table where I record all of my measurements (bust, neck, bicep, waist, hips, thigh, calf), weight and BMI. And I think that’s it! if you want any more info then just ask! I am not an expert but this is how I did it and I hope it helps. Like I said feel free to challenge me send me any info on how you’ve done. Oh and : I am currently a size 10 to 12 UK and 10 stone 8! Next Post Where the hell you been hunnie? Good luck with the detox. I hope it works well for you. I think I will be needing one too. I’ve never done a detox like this before and it’s really interesting. I wonder if I can get through it all but I’m also excited about challenging myself!